What Ford Models are 4x4? Find Out at Glenwood Springs Ford! If you’re a driver who’s looking for a truck or SUV that combines a durable exterior and a large bed with a mega-powerful engine, the obvious choice is a Ford model. At Glenwood Springs Ford, you can choose from four different Ford models that comes with a 4×4 drive system — the Ford Super Duty, the Ford F-150, the Ford Escape, and the Ford Expedition. Learn more about each of these 4×4 Ford models below, and then visit us at Glenwood Springs Ford to take one or more of them out on the road in the valley today. 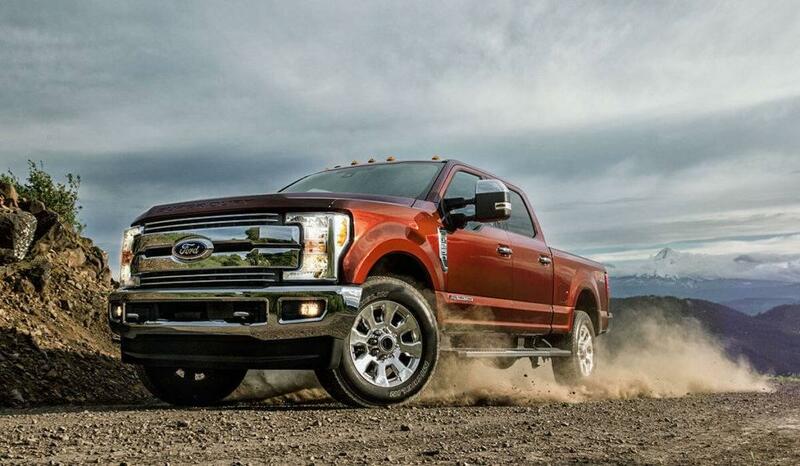 Super Duty: The Super Duty can be equipped with a 6.2L gas V8 engine or a Power Stroke Turbo Diesel V8 engine. As you guessed, it also gives you a reliable 4×4 system, thereby improving performance and increasing your control over your drive. F-150: The F-150 can be outfitted with a number of engines, including a 3.5L EcoBoost Engine and a 5.0L V8 engine with Flex-Fuel capability. At the same time, the F-150 also comes with 4×4 drive as well as a wide range of additional driver assist features, too. Escape: The Escape can run on either a 1.5L EcoBoost engine with Auto Start-Stop or a 2.0L Twin-Turbo Scroll EcoBoost engine with Auto Start-Stop. The 2.0L engine option generates 245 hp and 275 lb-ft of torque while also letting you achieve 20 mpg in the city and 27 on the highway when equipped with Four-Wheel-Drive. Expedition: The Expedition runs on a mighty 3.5L EcoBoost V6 engine that pounds out 365 hp while generating 420 lb-ft of torque — and, of course, it also features 4×4 drive. Visit Glenwood Springs Ford dealership to test drive one of these impressive trucks or SUVs on your own. Get in touch using this online form, and we’ll be sure to respond as soon as possible. We look forward to meeting you soon at Glenwood Springs Ford! 1 comment(s) so far on What Ford Models are 4×4?